Goalkeeper: Simon Mignolet came under criticism following another disappointing display against Leicester last week but followed it up with a solid shift on Saturday, and there’s little doubt Rodgers will stick with his No.1 tomorrow. Defence: Rodgers is unlikely to make too many changes at the back after the Reds kept a clean sheet at the weekend. That means Kolo Toure is likely to continue alongside Martin Skrtel in the middle of defence after displacing Dejan Lovren in recent weeks, while Glen Johnson and Alberto Moreno could keep Javier Manquillo and Jose Enrique out the team. Midfield: Steven Gerrard is certain to return to the starting eleven after being rested at the weekend and Liverpool will be looking to their skipper for inspiration on such a huge night for the club. I think Philippe Coutinho is the man most likely to make way with Jordan Henderson and Lucas Leiva keeping their places in the side. Attack: Raheem Sterling is a cert to start while I think we’ll see Adam Lallana start ahead of the likes of Lazar Markovic in attack. Mario Balotelli isn’t expected to make it back from a groin problem so with Daniel Sturridge also out injured, Rickie Lambert will once again lead the line. 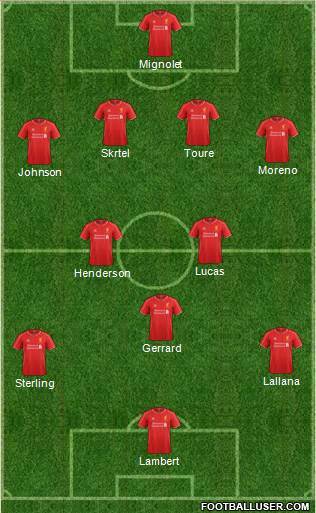 What do you think of the team and what eleven would you select for the game? 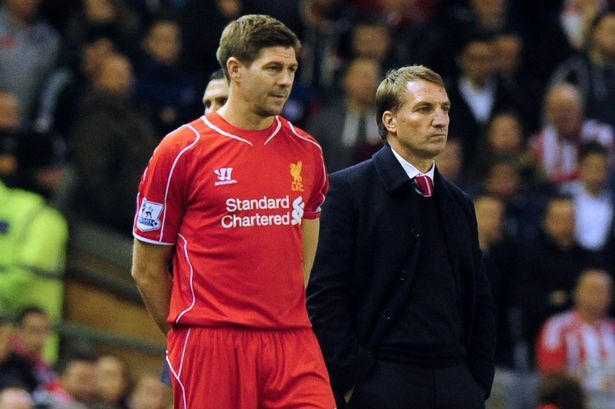 I think Brendan Rodgers will go for Defense because of the outstanding performance by him last week.